As time passes, our priorities will continually change. 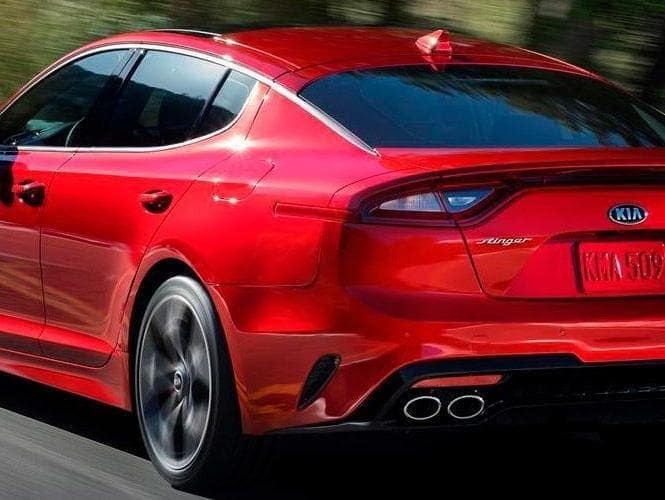 The all-new 2018 Kia Stinger is a platform that will offer the space and features of a midsize sedan combined with the performance of a European-built sports car. There is no rule that says growing up means having to own a boring car. 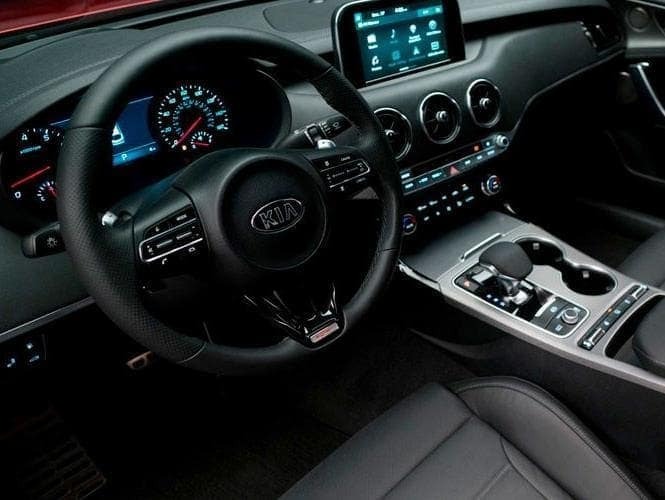 Spitzer Kia Cleveland customers looking for a high-performing sedan with plenty of interior space and some of the most advanced systems available in the class will want to schedule an appointment for a test drive with the 2018 Stinger as soon as possible. The Spitzer Kia Cleveland sales staff completed a head-to-head comparison of the 2018 Kia Stinger vs. 2018 Nissan Maxima to help customers understand how the new Kia fastback sedan fits in this important class of the automotive industry. Where the 2018 Kia Stinger is a brand-new vehicle from the automaker for the current model year, the 2018 Nissan Maxima has been around for quite some time – but has been recently updated. One of the key areas where the two vehicles are going to compete is overall performance. The 2018 Stinger GT employs a twin-turbocharged, 3.3-liter, V-6 attached to a precisely-tuned eight-speed automatic transmission. Owners of the 2018 Stinger GT will be able to use 365 horsepower. Additionally, it has been recorded posting a zero-to-60 mph time of 4.7 seconds. All trims of the 2018 Maxima use a naturally aspirated 3.5-liter, V-6 engine that tops out at 300 horsepower. The current Maxima has a zero-to-60 time of more than six seconds. Kia also offers a quick turbocharged, four-cylinder engine for the Stinger. Max. Cargo Space: 40.9 cu.-ft.
Max. Cargo Space: 14.3 cu.-ft.
On a basic level, the differences in features of modern automobile can be difficult for many buyers to understand. Both the 2018 Kia Stinger and 2018 Nissan Maxima use the industry-standard systems for smartphone integration, with each sedan using the Apple CarPlay and Android Auto suites. 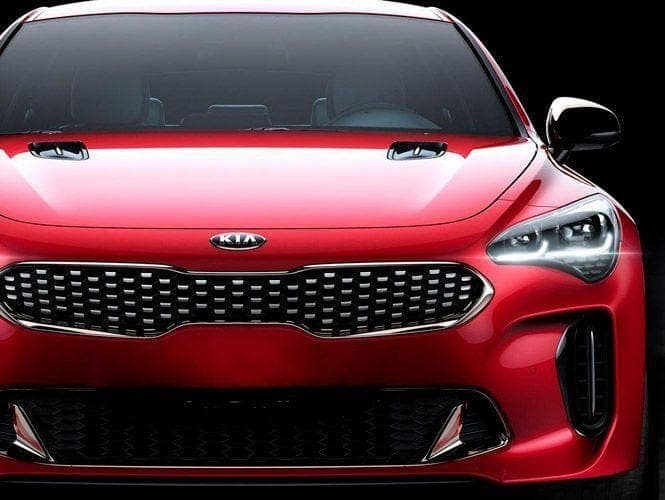 However, the Kia Stinger takes its complement of advanced features to the next level. 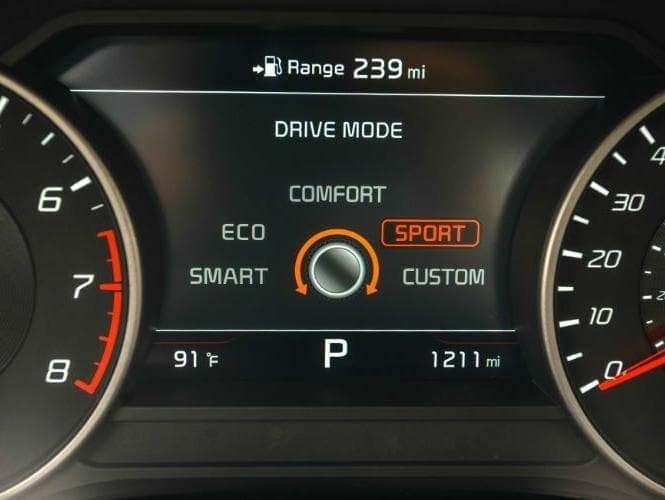 Upper trim grades of the 2018 Stinger can be outfitted with a cutting-edge heads-up display. Drivers will be able to have speed, navigation and other system-status information projected on the adjustable display. This will allow those behind the wheel to receive constant updates without taking their eyes off the road.